Ana Tijoux: Addressing Global Unrest In Rhyme Born in France after her Chilean parents fled Pinochet's regime, Tijoux has become one of the biggest names in Latin-American hip-hop. Her new album, La Bala, examines the current political struggles in Chile and abroad. Ana Tijoux's new album is La Bala. 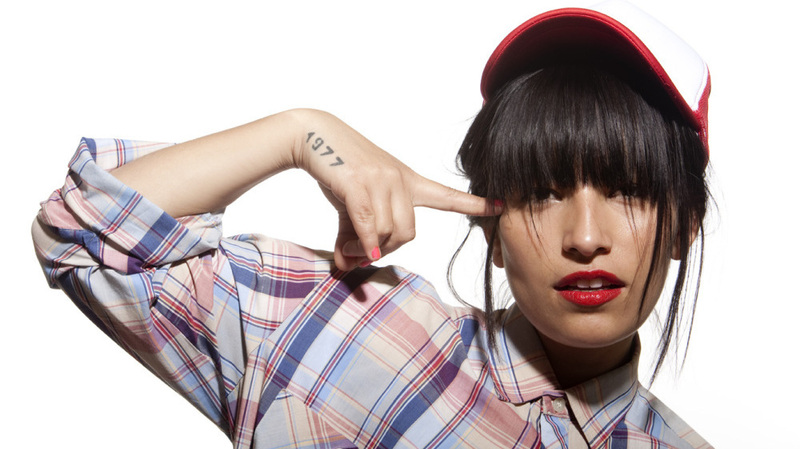 Before Ana Tijoux became one of the biggest names in Latin-American hip hop, she was a child of exile — born in France in 1977 to parents who had fled the repressive regime of Chilean dictator Augusto Pinochet. It wasn't until 1990, when democracy returned to Chile, that the family returned home. Tijoux's breakout record, 1977, was a musical autobiography, in which she confronted her dual identity and what she calls a life of "shadow-boxing" with her parents' tormentors. But her newest album, La Bala, is focused squarely on the present. "The difference with this album is, this is a conversation with the world," she tells NPR's Guy Raz. "I live in Chile, with all those student protests, and this parallel situation that is happening with Indignados in Spain, or the crisis in Greece, or Occupy Wall Street or Occupy Oakland. When I was making [the album] I was reading a lot of news and talking about the world with friends, and in the end that totally influenced my work." The title track of La Bala, Spanish for "the bullet," describes the shooting death of a young man. Some have speculated the character is meant to represent Manuel Gutiérrez Reinoso, a Chilean student who was killed last year during a clash between demonstrators and police. Tijoux says that's not quite accurate. "I wrote the song in May, and I think Manuel was dead in September — which is crazy," she says. "Everybody was asking, 'Did you make this song for Manuel?' and I was saying no. But it's crazy how it fits so well at the same time. Perhaps an intuition — who knows?" Because Tijoux grew up in French culture, it took time and effort before she could speak Spanish comfortably. She says she still has plenty to learn about the Latin side of her identity — which is why she probably won't make an album in French anytime soon. "All the countries in South America — I was just in Peru, Columbia and Brazil — every time it's like, 'Wow, I have to travel more, I've got to mix more with Latin American music, I've got to know more of where we come from!'" she says. "And I've got to be honest: I love to rap in a language where I can go to Mexico and they understand me, [or] I can go to Panama. I love when people can understand what I'm talking about."